Four x 4 metre lengths of L-shaped iroko moulding were made to order by Covers of Chichester to cover the hull/deck joint. After the hull/deck joint had been repaired and the deck resprayed, these were bedded on Sikoflex and fixed approximately every 250mm with 55mm self tapping screws. 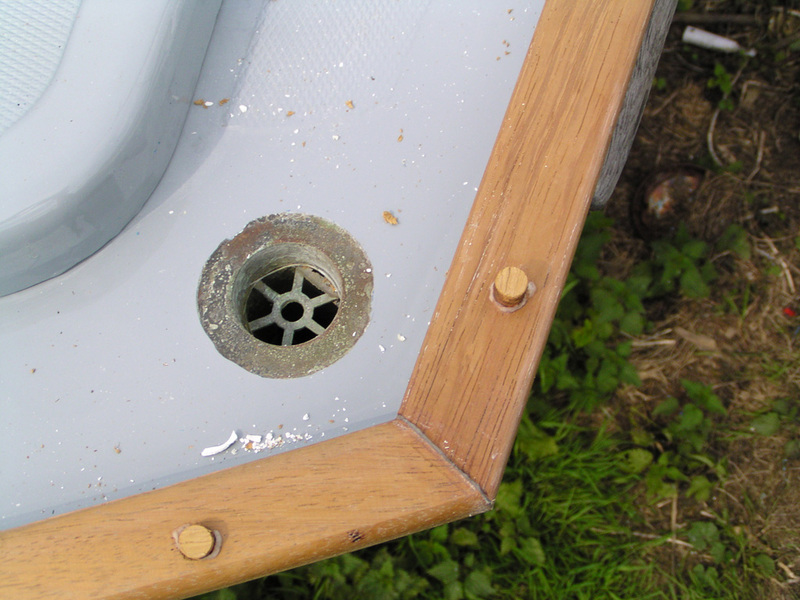 The screws were set approximately 4mm below the surface to enable iroko plugs to be used to cover the screws. Fixings were started aft and the wood was easily bent to the curve of the deck by hand and held in place with a few G-clamps. Two lengths were used each side necessitating a 12:1 scarph midway. This could be done horizontally or vertically. We decided to do it vertically as this allowed the epoxied joint to be made in situ and could be more easily supported with clamps for a week or two until fully cured. 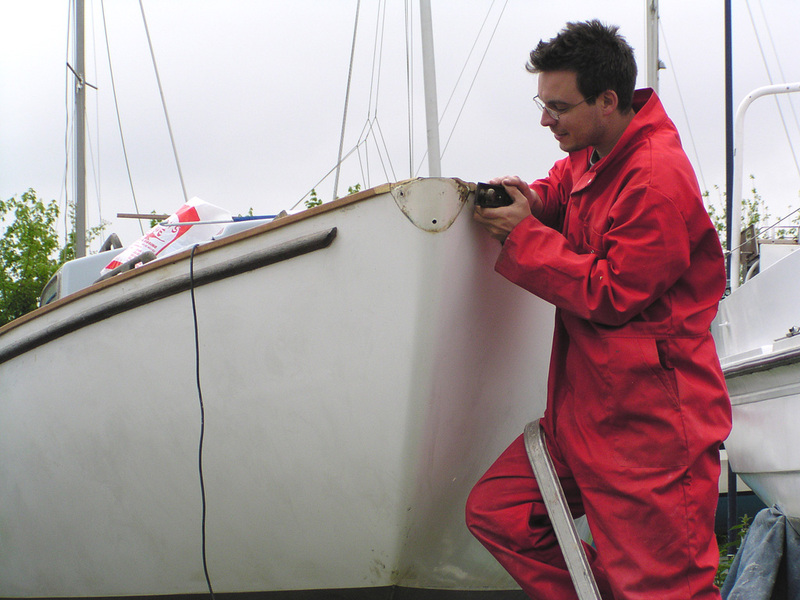 The blue clamps supporting the scarph can be seen in the photographs above. 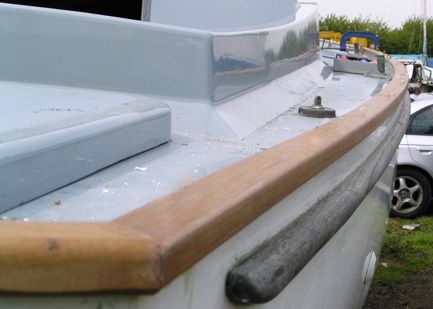 the curve in the wood of the taffrail was preformed by cutting and not by bending across the back of the transom so the joint could be made before fitting and was not subjected to twisting or shearing movement. it provides a greater glued surface area. The toerail was trimmed to fit into the bronze bow fitting and the fabricated taffrail was mitred at the stern.